Musings and music from Dan. Life as a husband, dad, music and sports fan, and whatever it is that I do to make a living. Check out DanPop radio (to your right). Great Music. I've been watching the show "The Next Great American Band" on Fox lately and enjoying it. 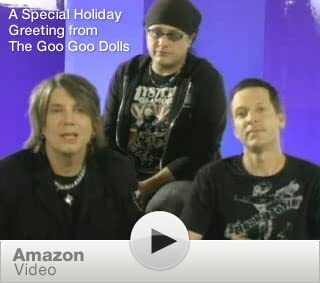 One of the judges is John Reznick of the Goo Goo Dolls. Since I like the show and most of the bands, I thought I'd feature one of Reznick's songs. Go, Clark Brothers (my favorite of the 6 remaining bands)! The show is on Friday nights on Fox. Tonight, they'll be covering Rod Stewart songs. Does that mean that Rod has to have written or co-written the song or just have sung it? I don't know. Anyway, take a look at it and vote for the Clark Bros. I'm middle aged having lived in the Washington DC area for more than 25 years. Enjoy music both live and not, attending Wizards and Orioles games, travel, and golf (sort of). Got 2 great kids, 1 autistic and 1 not and love hanging out with them as well.